Please help us unite our youth for this groundbreaking event in Long Beach on Saturday, November 22nd! 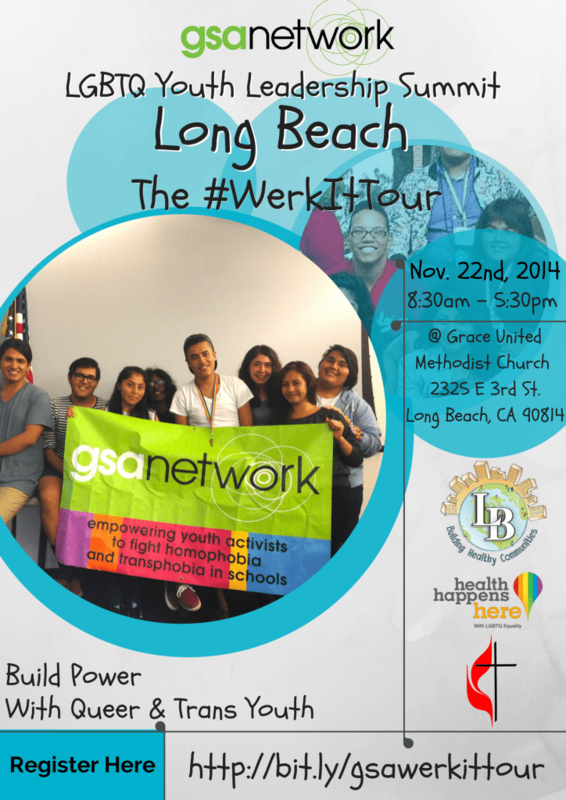 Our GSA Network SoCal #WerkItTour is here! !GSA Network looks forward to sharing skills and building youth-led power with you! Our youth trainers will be coming out to Long Beach, Oceanside, and Boyle Heights to drop some serious youth wisdom, present our resources, and have a fabulous time connecting with you for transforming our schools and neighborhoods! We’ll address many key issues affecting Lesbian, Gay, Bisexual, Trans*, and Queer (LGBTQ) middle and high school students.